Now serving at your Hawaiian luau! This Tiki Bar Hut offers a charming setting for your summer drinks, and features a "thatched" roof made of natural raffia sewn to durable synthetic fabric. The roof stands on a frame of plastic tubing that snaps together and breaks down easily for compact storage. The poles are sectioned for easily adjusting the height. 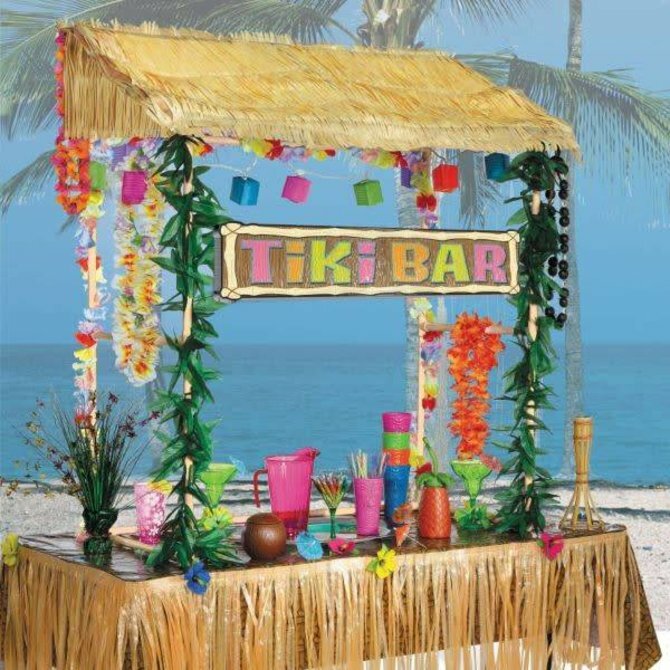 Set this Tiki Bar Hut atop any table to turn it into a tiki bar! 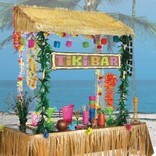 Tiki bar sign and raffia table skirt sold separately.